Ahead of the launch, leaks on Nokia 2 continue to appear. Previously leaked about the entry-level smartphone is visible in the Bluetooth certification database and also had appeared on the website of e-commerce B & H in the US. While rendering of the smartphone has been circulating, this time the leak came from AnTuTu Benchmark listing that confirms previous rumors regarding the specifications that carried Nokia 2. The 2nd Nokia Smartphone known as the TA-1035 model number comes as the lowest device of the Nokia Android smartphone range. In the kitchen runway there is a Qualcomm Snapdragon 212 chipset is paired with 1GB of RAM and 8GB of internal storage. Hardware is indeed very typical for low-end smartphone class is expected to be priced at $ 99 or equivalent to Rp1, 3 million. Although cheap, but this smartphone has a screen that is quite capable in its class. Nokia 2 screen has been carrying HD 720p resolution although not yet known how wide. According to rumors, this smartphone will carry the screen between 4.7 inches to 5 inches. While in the camera sector, smartphoe is equipped with the main camera 8MP resolution and 5MP front camera. One of the main selling points of this smartphone is battery life, which is said to have a battery of 4000mAh, although the AnTuTu list does not mention the details of battery capacity. 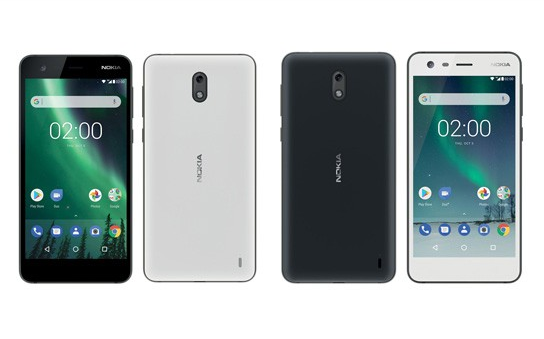 For the operating system, Nokia 2 is still running Android 7.1.1 Nougat and not yet certain whether this low-end device will get Android OS Oreo or not. For the launch itself is expected to take place in the near future, where the global HMD also has a schedule to hold a launch event in India on 31 October tomorrow.